"Guardians of the Galaxy Vol. 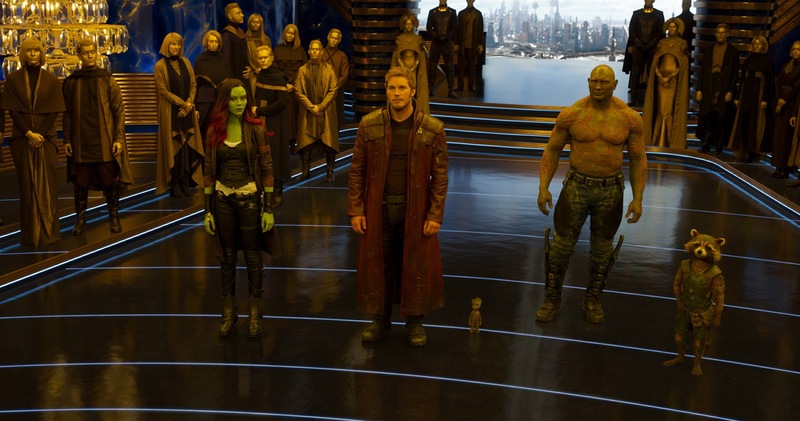 2" is written and directed by James Gunn and marks the return of the original Guardians, including Chris Pratt as Peter Quill/Star-Lord; Zoe Saldana as Gamora; Dave Bautista as Drax; Bradley Cooper as the voice of Rocket; Vin Diesel as the voice of Groot; Michael Rooker as Yondu; Karen Gillan as Nebula; and Sean Gunn as Kraglin. New cast members include Pom Klementieff, Elizabeth Debicki, Chris Sullivan and Kurt Russell. Set against the backdrop of ‘Awesome Mixtape #2,’ the film continues the team’s adventures as they traverse the outer reaches of the cosmos. The Guardians must fight to keep their newfound family together as they unravel the mysteries of Peter Quill’s true parentage. Old foes become new allies and fan-favorite characters from the classic comics will come to our heroes’ aid as the Marvel cinematic universe continues to expand.